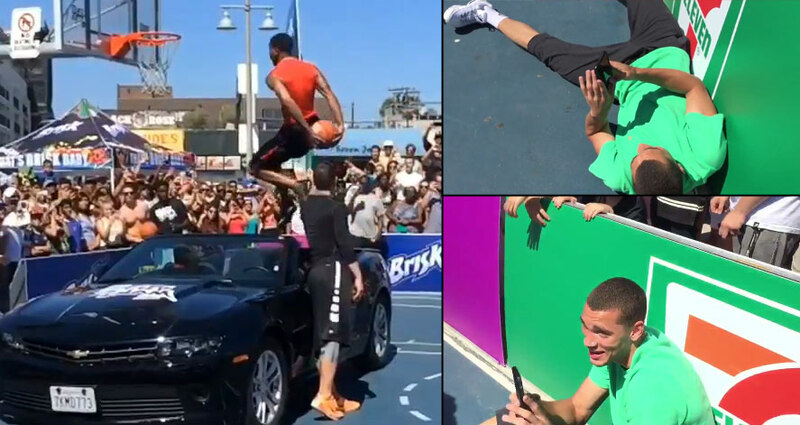 On Saturday at Venice Beach, international dunk phenom Guy Dupuy put on a dunk show for the Lakers’ Julius Randle and NBA dunk champ Zach LaVine as he came away with his 3rd City Slam championship. Dupuy’s most impressive dunk was when he did the behind the back dunk Zach did in the NBA dunk contest…but with a car added into the mix. As evident by Zach’s reaction – he was floored!